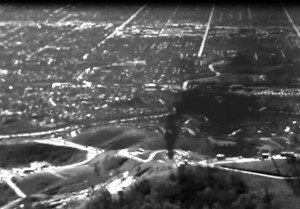 A paper today in the journal Science, estimating emissions from the massive methane leak at Aliso Canyon, indicates that nearly 100,000 metric tons of methane escaped into the atmosphere over Southern California – more than previous estimates. The new findings come days after the Environmental Protection Agency released draft results of their updated accounting of methane emissions from the nation’s oil and gas supply chain that shows that emissions are up 27% above the agency’s early estimate. The more we know about methane emissions, the higher they get. The new findings show not just the massive scale of the oil and gas industry’s methane problem, but also how critical it is to get the science right to both understand this source of a potent climate pollutant and reduce it. We know that cutting methane is one of the fastest, most cost effective ways to curb today’s warming, and when combined with critical efforts to reduce carbon dioxide pollution, substantial climate progress can be made. Steve Conley, an atmospheric scientist and pilot, was the first to fly over the sprawling Aliso Canyon storage facility owned by Southern California Gas to measure escaping methane. 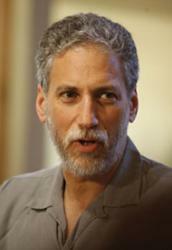 He continued to take regular airborne measurements for the state of California throughout the months-long leak. His paper published in Science integrates these measurements into a total amount of natural gas lost to the atmosphere, and his results were much higher than those provided by the gas company. This kind of discrepancy isn’t surprising. Since 2012, EDF has been coordinating a series of studies on methane emissions that looks at various segments across the oil and gas supply chain. What we’ve found is that different types of measurements can yield distinctly different results if not done carefully. A big reason is the “super-emitter” phenomenon: unpredictable sources, like the well at Aliso Canyon, release large amounts of methane, and often appear in different places at unpredictable times. Accurately measuring these large sources is difficult using ground-based approaches like those used by the gas company to estimate the size of emissions from the facility. Over the past few years the many scientists studying methane emissions have found that best way to get an accurate reading of rates of methane pollution from oil and gas infrastructure is to combine air- and ground-based methods. Researchers did just that in 2013 for oil and gas equipment across the vast Barnett Shale in Texas – one of the nation’s largest oil-producing regions. Their results clearly showed that methane emissions were almost twice as large as those estimated by the EPA. The Barnett study is just one of many in recent years that have shown consistent undercounting of methane emissions in regions across the country. Scientific research efforts led by Stanford and Harvard have that found methane from all sources, including oil and gas, is systematically underreported. Recent research looking specifically at the oil and gas supply chain has found indications of the same trend. In August 2014, a Colorado State University study reported that previously unrecorded emissions from thousands of U.S. gathering facilities – which consolidate gas from multiple wells and feed it into processing plants or pipelines – are eight times higher than EPA estimates. Similarly, a 2014 University of Texas paper that studied oil and gas production emissions reported 17% higher emissions from pneumatic controllers. The White House and EPA have expressed intentions to address oil and gas methane, setting a national reduction goal and proposing initial standards to begin meeting it. With their intention to revise the inventory of methane emissions in the US, based on the growing body of peer-reviewed science, EPA is showing further commitment. While some critical gaps in the methodology remain, it is promising to see that this year’s draft inventory comes much closer to reflecting the true scale of the problem. What EPA hasn’t done yet is tackle the methane pollution we’re facing right now from existing oil and gas infrastructure. EPA’s proposed methane standards only address sources that will be built or modified in the future, not those polluting today. Until EPA moves to cut methane from these existing facilities, we will be experiencing unnecessary climate change and continuing to risk disasters like the one caused by the aging well at Aliso Canyon. EPA head Gina McCarthy acknowledged the threat posed by methane in her comments at a global energy forum this week, saying, “we can and we must” do more in regard to methane emissions from oil and gas production. The Aliso Canyon measurements and new EPA inventory adjustments have brought us closer to better understanding – and reducing – the oil and gas methane problem. As momentum continues, we get closer to taking advantage of the insights that a new body of science has provided. We now know where the problems are and how to fix them; let’s not waste any more time in acting on our greatly enhanced knowledge.